Continuing College Professor at Okanagan College, all views are my own, not those of Okanagan College. My background includes graduate work in Political Science at York University’s Centre for International and Security Studies, a one-year travel-study tour around the world focused on issues of peace and conflict resolution, and almost 20 years of teaching subjects from International Development to Canadian government. I have researched and published on topics like ecological modernization, global environmental governance issues, protected areas governance in North America, environmental discourses, and environment and trade in Canadian foreign policy. I am also energized by educational technologies and the latest news and information about teaching and learning in higher education. The Deep State or the Degraded State? Both the Left and the right have adopted the terminology of the Deep State to describe those hidden structures and relationships that permeate a state’s administrative apparatus and represent a set of semi-permanent structures that sit below the political level. On both sides, the so-called Deep State has come to represent a fundamentally anti-democratic and secretive force operating out of public view and without accountability or transparency. The argument from the left is that the revolving doors of Wall Street, the military and the bureaucracy have created a club of common interests that works towards favourable policies for the wealthy, including low taxes, de-regulation, militarism and regressive social and economic policies that penalize the poor. For the right, the deep state has become a force for endless bloat, overspending, over-regulation and failed global liberal projects of democratization and cosmopolitanism. In particular, the right has focused on the Obama administration’s expansion of healthcare services as a wedge to entrench even more state bureaucracies. The polarized state of politics in the US means that there is a tendency on both sides to overstate the power, significance and uniformity of the Deep State. In political science the term ‘deep state’ as it is presently used does not have technical or analytical meaning. However, political scientists sometimes made a distinction between 1. the state administrative apparatus; 2. the government, which changes frequently in response to democratic cycles; and 3. the semi-political institutions that are termed a ‘regime’, which melds the political and bureaucratic elements. These three elements (the bureaucracy, the government, and the regime) form a larger, and much more permanent organization termed ‘the state’ which encompasses and supersedes all of these components by embodying a single legal entity from which the authority of all of the other parts flows. The separation of institutional powers among the branches of government, and among the various bureaucracies, is permanently enshrined in the Constitution in order to prevent the abuse of power by any one of these components, all underpinned by the permanence of the rule of law. The polarized state of politics in the US means that there is a tendency on both sides to overstate the power, significance and uniformity of the deep state. The fact is, the directly ‘democratic’ components of the state are relatively shallow, since the temporary election of a government on top of a large permanent experienced bureaucratic apparatus cannot, of necessity, institute revolutionary changes in the short term which it is allotted. This transience of the government is by design. Changes are always contingent on the maintenance of popular support., because any program of policies and institutions must be vetted by the people periodically. The permanence of the administration and the transience of government are complementary forces which maintain stability by the periodic checks and balances provided by democratic elections, which provide sufficient flexibility for the state to maintain relevance and responsiveness to the needs and wishes of the people. This is one key way in which a democratic state is distinguished from an authoritarian one, since in an authoritarian state like Pakistan or Turkey (as it is becoming) the Deep State acts wholly independently of the electoral process and has much greater power as a result. Clearly, something has gone wrong with this careful balance. As Eisenhower knew well, the ‘military-industrial complex’ was not made of and by the state, nor did it arise from state action, but was the main threat to the state. When Eisenhower warned at the conclusion of his term about the creeping power of the ‘military-industrial complex’, he was referring to the entrenchment of relationships among the component parts that had become a semi-permanent structure of interests antithetical to democracy. Similarly, Mike Lofgren refers to the Deep State not as “a secret, conspiratorial cabal” but rather as “hiding mostly in plain sight, and its operators mainly act in the light of day.” As he says “it is not a tight-knit group, and has no clear objective. Rather, it is a sprawling network, stretching across the government and into the private sector.” This complex is composed of a loose network of relationships among ruling elites from the commercial, financial, military, scientific and governmental sectors. In other words, it is both public and private in origin and nature. So, what is going on? First of all, the transfer of power from one government to the next has fundamentally broken down, not only because of excessive partisanship, but also due to social divisions of interest within the ruling elites, whose ability to maintain a common interest has been compromised. Second, this set of alliances threatens the state writ large, because it can potentially affect the more permanent institutions without reference to the vetting of the periodic democratic checks of elections. The problem with these relationships is not that they are secret (they aren’t) nor that they are hostile to social, political and economic progress (because they have been and can be progressive) but because they have failed in their most important function: to create and maintain legitimacy. Until recently, this admittedly problematic arrangement could be relied upon to organize and underpin (or at least, not obstruct) peaceful and orderly transitions of government that, if not democratic, at least could be said to command the legitimate support of sufficient numbers of the public to maintain the authority of the state itself. Finally (and you can probably see where I’m going here) the system has been broken by an inability of the ruling elites to agree on the fundamental direction of the state. The state itself is not broken, nor is the Constitution, nor (yet) is the democratic mechanism for transferring power between regimes. What could once be a strategy for election, must now be a strategy of grasping for the broken pieces of the state that have been set adrift and unclaimed. What is broken is the legitimacy of the state, its ability to rally support and meet demands, the most basic functions of statehood. The problem is not that the Deep State is a monolithic and autonomous shadowy force acting against the democratic will, the biggest problem is that the state is being broken apart into its component parts due to the inability of the ruling elite to maintain legitimacy and enable a peaceful transition of power. What could once be done in public must now increasingly be done behind closed doors. What could once be said openly must now be cloaked in distraction and lies. What could once be a strategy for election, must now be a strategy of grasping for the broken pieces of the state that have been set adrift and unclaimed. The real threat is to the state, in its larger, wider meaning as a social, political and legal community of common interests and values. 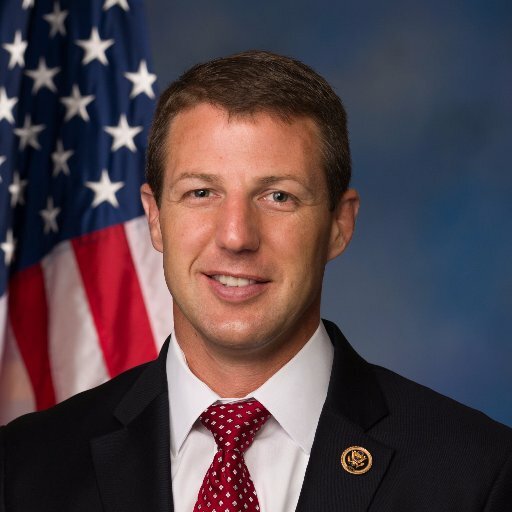 In April, US Representative Markwayne Mullin (R-OK) had a tough town hall. Upset about the Trump legislative agenda, constituents called Mullin to task as a public employee. His unscripted response was to complain about their questions and to argue that the idea that taxpayers pay his salary was ‘bullcrap’. He went on: “I pay for myself…I pay enough taxes where before [sic] I ever got there, and continue to for [sic] my company and pay my own salary.” Mullin further claimed that his job as a public servant was an ‘honor’ and that his wealth and position as a business leader gave him a special freedom and independence from government. This independence from financial ties, in turn, bolsters his credibility as a critic of government encroachment. Is Public Service a Contract? His argument opens an intriguing window on the way that public service (and, by extension, government) is being recast. While there is a striking & stark contradiction between claiming to both represent taxpayers and to be free from accountability to them, Mullin kind of had a point—–Do ‘taxpayers’ (as a group, and aside from ‘citizens’) actually have rights? Is public service a kind of contract of service, in which representatives agree to provide a necessary ‘good’ in exchange for a fee (salary paid by taxpayers)? I want to say no, that is not the essence of public service. Public service should not be reduced to little more than a commercial exchange or contractual relationship, it is also a relationship of trust. Logically, then, to some extent I (gulp) agree with Mullin that it is a service and a privilege. This is not to say that there is no contractual dimension to public service, however. Ever since Rousseau wrote about the Social Contract in the 18th century, governments and citizens have expected a relationship of mutual accountability. For Rousseau, however, the social contract was a metaphor for the larger relationship of mutual obligation that government rested upon; in particular the obligation of the state to its citizens. Therefore, the relationship between the public and public servants does have a contractual dimension. So, if it is not only a contract, what else is it? Prior to the widespread institution of income taxes as a primary revenue source for modern administrative governments, most governments gained the vast majority of their revenue from taxes on trade. The famous Boston Tea Party protest was against the unfair tax rate on a commodity (tea) and the legitimacy of the Crown’s right to tax commerce without accountability to traders. Eventually, of ourse, taxes became imposed on other dimensions of economic activity, include labour and capital gains. What drove governments to reach beyond trade to enrich their treasuries was war. War required governments to raise funds to field military forces at a competitive level to other states. War also brought conscription, wherein the sons of the poor were required to invest their lives in the security of the state. Conscription without representation was just as untenable as taxation without representation, however. With new demands from the state, the state also had to provide new opportunities for returning veterans, which in turn necessitated higher taxes to provide housing, care, education and a safety net. In truth, the extension of the tax base to all income earners relieved business of the bulk of the tax burden, and business benefited from the security provided by the state. Security provided great opportunity for economies to grow and globalize. Asking the people to expend blood and treasure on war meant that there was an implied responsibility on the part of the state to provide social services to the people. Taxpayers could expect that public servants would expend public treasure for the public good, not for the interests of business alone. Underlying the arrangement was a semi-contractual kind of language: taxpayers could expect to be able to exercise their democratic rights to ‘check’ irresponsible governments; and governments could expect citizens to be devoted to the support of the state in war, and in peace. Clearly, this calculus has changed. The reasons for this are numerous, not least that conscription has been eliminated and war is fought very differently, but it is still undeniably the case today that paying taxes does and should produce a set of obligations on the part of the government to respect the public interest. Paying taxes does not only create a contractual relationship, it also binds taxpayers to their community, giving them a stake in a common future and ensuring thier engagement in public life. This is not, however, the same as saying that taxpayers per se have rights, over and above their interests as members of the public. A ‘right’ implies a claim to greater respect and recognition over and above the interests of other groups. A ‘right’ is a trump card that all other interests, and government, must respect. Taxpayers as a group are entitled to a voice and to express their interest as a group. An ‘interest’ implies a competition in the marketplace of ideas in which any one group’s desires may reasonably and fairly be considered over and above others, within the framework of laws that otherwise encourage respect for fundamental rights. Taxpayers, like retirees, patients, business owners, students, workers, and other groups, have interests, but not rights. Ethnic minorities, religious minorities, the disabled, the press, and the public, on the other hand, have rights that may override taxpayers’ interests, and that may necessitate that government prioritize these considerations over others. 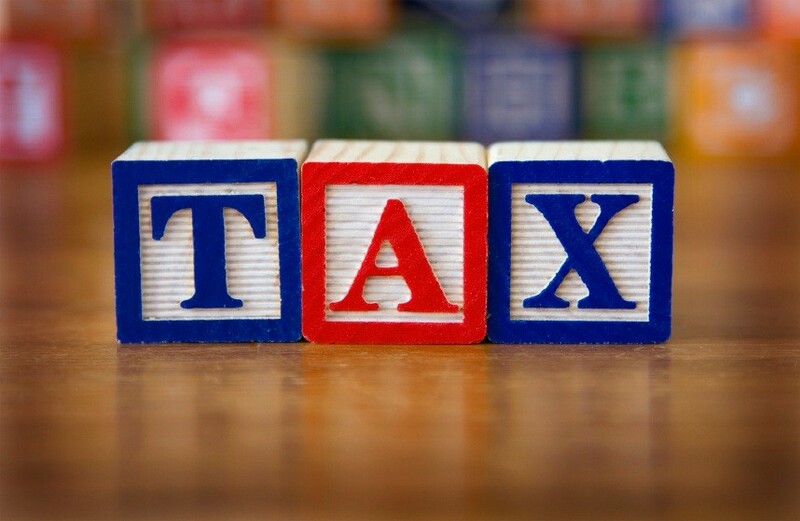 What the new agenda overlooks is that paying taxes does not only create a contractual relationship, it also binds taxpayers to their community, giving them a stake in a common future and ensuring thier engagement in public life. This is what makes Mullin’s position so problematic. Mullin is not making his defence from the standpoint of a citizen with a common stake in the public good, nor even as a servant (despite his calming words about ‘service’ and ‘honor’). His defence is one of a taxpayer, and more particularly, as a business owner. Ultimately the whole conversation ends up being an argument between taxpayers, not citizens. Arguing that taxpayers have unique contractual rights essentially gives them permission to disengage from the social contract as a whole, especially those parts of it that don’t directly serve their interests. In turn, and by extension, governments are then relieved of their obligations to the public, including the provision of security and welfare. While taxpayers have the democratic right to defend their interests, they do not have the right to disrupt the social contract to this degree. When The Fraser Institute and the Canadian Taxpayer’s Federation argue that taxpayers either work for themselves or for the govenment, they feed in to the idea that taxpayers have special rights. When citizens at the Town Hall demand that governments should respect taxpayers, then decision makers should listen. However, taxpayers should not have a louder voice than citizens. Taxpayers ‘rights’ should not be extended to the degree they disrupt the larger social contract. If they do, then the democracy is at risk of eliminating itself by undermining the contract of service and trust, and, incidentally, by bankrupting the state. There is some evidence that the US has already begun to do this. Since the language of taxpayers’ rights essentially marginalizes any public interest from the conversation, it is incapable of constructing a new social contract. The language of taxpayers’ rights then becomes essentially self-destructive, since taxpayers will end up undermining, in the end, their own claims to the rights and benefits of citizenship. The US presidential election results will have an impact worldwide for years to come. In this talk, Dr. Rosalind Warner will look beyond the personalities and ‘fake news’ to explore the deeper social, political and economic origins of the 2016 election result. Participants will discover what made 2016 different and why it matters to the world what happens next. Hear about the history of Canada’s efforts to address this crucial global problem of climate change and explore the challenges ahead. 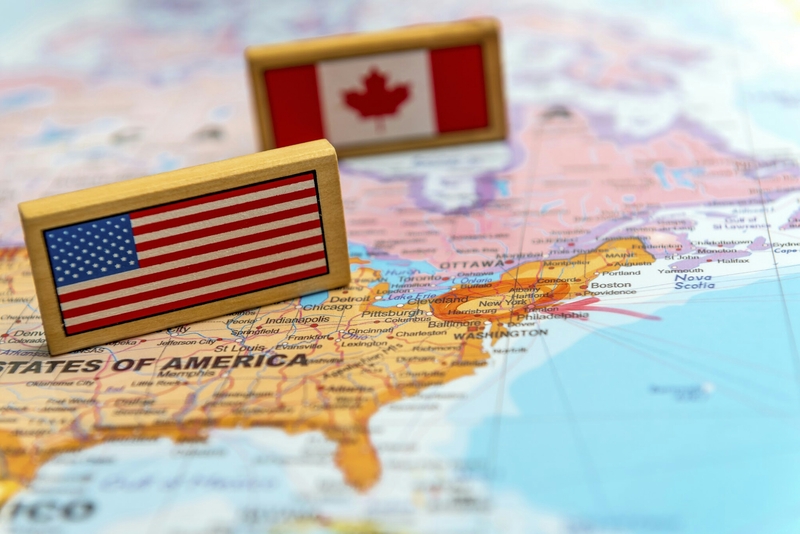 Canada is struggling to balance an economy highly dependent on natural resources with the increasingly urgent need to take action to reduce greenhouse gas emissions. Its been a tough time for practitioners of what I’ll call the Social Arts & Sciences, and for analysts of political affairs. For example, reputable pollsters were totally wrong in predicting the election of 2016, pretty much destroying any confidence in the utility of analytical methods like survey research. Of course, most consumers of polling data can’t be expected to know the difference between the use and interpretation of quantitative data for research, and the kinds of reckless extrapolation that posed as expert and authoritative analysis leading up to the election. So, it seems that social scientists have some tasks to do. As a community of thinkers and teachers about social affairs, the Social Arts & Sciences have a unique set of tools for understanding world events that can shed light on important questions. Like any tool, the value of analytical methods is only as good as the use they are put to. Ok this one’s mine. Please, political scientists, explain clearly the difference between democracy and liberal democracy. Liberal democracy is a paradox, since the rule of law and constitutional protection of human rights necessarily limits democratic rule. Another way to think about it is that minority protections make democracy possible by ensuring that the people do not abuse their power, and in the process, potentially vote themselves out of power. Law needs democracy and democracy needs law. They are inextricably bound together. The rights of minorities are integral to the maintenance of democracy, not an add-on that can be jettisoned in the name of the majority or for the sake of convenience. Protecting minority rights is what enables democracy to function, and to sustain itself. Compromising minority rights inevitably compromises democracy itself. Protecting minority rights protects everyone. While we’re at it, please explain what polls actually measure, what they don’t measure, and what their limitations are (and I don’t mean margin of error). Everyone: (yes that means you)…I’m sorry, but you have to take statistics. We all did it, so you have to too. There. I’m throwing questions about the Electoral College to the historians. It makes no sense. A bonus suggestion for Philosophy: help everyone understand paradoxes better. I would like to understand better the dynamics of ‘alpha male’ social behaviour. I don’t even know if that’s a thing, but it kind of looks like what we’ve been observing. If I’m wrong, can you please school me in another way of understanding why so many thinking, otherwise respectful people (men and women both) willfully compromise themselves and their values when faced with powerful but flawed male figures? An extra job for sociologists: help us truly understand the centrality of identity to pretty much everything. Following the 2008 economic crisis, a new subfield of Economic Psychology flourished to help explain why otherwise rational actors made irrational decisions, even against their own interest, and under what circumstances. I think we need more of that. Can psychology help us understand more about the dynamics of voter decision making, the processes of skapegoating, and the emergence of in-group and out-group division? What is the role of emotion as a motivation for decision making? We know that strong emotion can interfere with rational decision making, but how might this dynamic work at a community level? 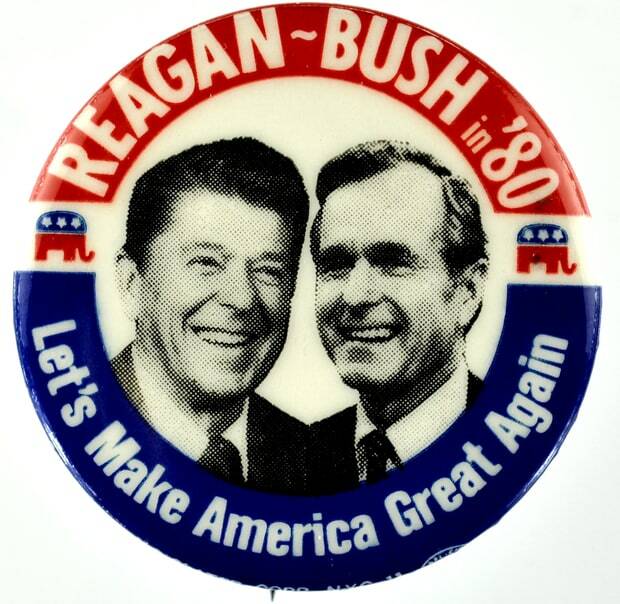 Please keep telling analogous stories from the past to help give context to the problems of the day. Each generation still generates its own version of problems and solutions, but if people saw their issues as common and not unique, they might be better able to think creatively about how to apply the wisdom of the past to the present. Also, please focus as well on the peaceful, constructive periods of history where nothing much happened. The boring bits are what we can learn from. As well, can you please help us understand better what happens during times of accelerating and rapid change so societies can learn to be more adaptive? I have a feeling we’re going to need that. Ok so you’ve got lots of work ahead…..propaganda has gone viral, driven not by large organizations but by individual users. Consumers are now transmitters. Conversations are immediate and global. Has the speed of communication outpaced democracy? Please talk to the psychologists about the effects of this on thinking, can we know more about how our social lives and worlds create our reality? Please keep reminding us what it’s like to be someone else. Touch our hearts with stories of people and places different from our own experiences, so that we can develop empathy and awareness, even for a minute. Teach the teachers how to convey this effectively. Educate all of the social scientists about the importance of empathy to learning and growing and advancing knowledge about the world and ourselves. Ultimately, this is the only way humans truly learn. This is a talk I gave for Okanagan College’s employee get-together Connections on August 23rd, 2016. In this session the group learned how to identify and think about potential disruptive innovations in higher education and what we can do about it in both the short term and the long term. The session also outlined the work of OC’s Disruptors Group. Go to Disruptive Innovation Prezi by Ros. Trying to balance accountability with accessibility is one of the key problems of leadership in any organization, but in educational institutions the challenges are unique in that the fundamental purpose of the organization requires engagement and collaboration from all those part of the enterprise. This model makes sense of the challenges of designing an institution that supports learning and teaching, but which balances two sometimes conflicting goals: creating a culture of learning while achieving excellence in learning and teaching. No single model is representative, each has its strengths and problems – the idea is to visualize the contrasts in some way. The range of ‘less focus’ and ‘more focus’ is meant to refer to the central purposes of the organization. So, if the central purpose leans more toward ‘excellence’ or ‘quality improvement’ that is one direction, while if it leans more toward ‘learning culture’ or ‘organizational development’ then that is another purpose. Each model utilizes elements of the others and no model is exclusive, it is only in the degree to which the model leans in that direction that determines its position. The description of each model refers to a series of metrics, including ‘who’ carries out the functions, the direction and type of learning and service provision, whether it is focused on goals or process, and whether it is competitive. Ultimately, the purpose serves the organization by creating the conditions for its operation, as well as by shaping expectations for performance. Like any good classroom, the function and purpose that underlie the enterprise should closely align with the structure. At the same time, purposes should be flexible and, to my mind, not neglect the processes that allow people to be people, and to realize their best selves in any organization. Institutional centres for learning and teaching serve vitally important functions in higher education. They focus on core educational activities. However, across the country, for a variety of reasons, these offices are at a crossroads. I’d like to consider at least some of the factors creating change as we move ahead to a 21st century learning and teaching environment. What is the ‘place’ of teaching in higher education? The impetus to create centres for learning and teaching in the 1970s and 1980s arose from three main developments. First, there was an explosive growth in literature in the educational field that could inform teaching and contribute to better learning outcomes. Second, governments increased pressure on higher education institutions to make use of resources more efficiently and effectively. Third, there was a growing unrest among students concerning the quality of instruction (understandably, given the rising cost of tuition and the declining relative value of a degree in an increasingly competitive job market). Despite their prominence, these three sets of priorites (dissemination of knowledge, the need for cost savings, and response to demands) represent very different, often conflicting, pathways for institutions. The need for cost savings conflicts with the desire for student access to quality teaching, and student demands sometimes conflict with the best practices of teaching. As well, there has been an incomplete fit between the growth in teaching-oriented professional development and improved student learning outcomes overall. In research universities, teaching has often been considered a ‘lower tier’ of academic activities . This is not without reason if the focus is on graduate education, since on average only 30% of PhDs actually go on to academic positions in which teaching is a primary activity. Given this, it makes little sense to ask graduate students to devote a lot of time to prepare to be teachers. In addition, the universities’ focus on research as a source of funding means fewer expenditures on other initiatives with less potential for return. As a result, despite the fact that teaching occupies a considerable amount of professors’ time and energy, professional recognition or institutional support for teaching remains comparatively low. While less apparent in teaching-oriented universities and colleges, the same dynamics are at work driving teaching-oriented professional development at other institutions. Despite their prominence, these three sets of priorites (dissemination of knowledge, the need for cost savings, and response to demands) represent very different, often conflicting, pathways for institutions. All three of the conditions that contributed to the creation of learning and teaching offices in higher education still persist. The growth in knowledge about learning, student expectations, and governmental belt-tightening are still at work. However, almost everything else about the environment has changed, creating a sense of flux and transition, opening up new opportunities and choices. The crossroads confronting education is at least in part, a function of the wave of disruptive technology, including mobile and online options, which has upended education. New technologies diffuse power, eroding the monopoly of knowledge and expertise. This is evident in the boardroom as well as the classroom. In response, managing technological transition has become a key focus for centres for learning and teaching. The technological imperative is accompanied by the perception among administators (although not necessarily the reality) that new technologies will create cost savings and that students will demand them. The drive to incorporate and disseminate new educational technologies and to encourage their adoption by faculty has become central. Professional development that uses a transmission model is less suited to a world of rapid technological change. The second big change is around the literature on learning and teaching. There is little agreement on what kinds of professional development actually lead educators to improve their teaching practice. The result is a cacophony of conflicting advice and forces. Approaches veer between the extremes of standardized delivery models on the one hand, and collaborative peer-led models of professional development on the other. The complexity and ambiguity of learning and teaching, as evidenced by the trends in the literature, defies an easy fit into the ‘one size fits all’ model of delivery. Together with the trend toward knowledge sharing facilitated by network technologies, the need for a collaborative model of professional development is increasingly apparent. The benefit of a collaborative approach is its recognition and respect for diversities of opinion and for the knowledge and experience of teaching practitioners. This philosophy prioritizes bottom-up expertise, dialogue, exchange of knowledge, problem-solving, realistic expectations, caring for the teacher and learner, and, at its core, a recognition of the ambiguity of the practice of teaching and learning. It prioritizes a consultative, open, and mutually supportive culture that recognizes disciplinary knowledge and respects differences while working to improve student learning outcomes by building relationships. The complexity and ambiguity of learning and teaching, as evidenced by the trends in the literature, defies an easy fit into the ‘one size fits all’ model of delivery. This approach, while true to the state of the literature on learning and teaching, is at odds with the third driver, that of improved cost-effectiveness. It is also at odds with the increasing pressures to be competitive and cutting-edge in an era of shifting technologies. Managing change under this philosophy is slow, incremental, and consensus-driven. The future of learning and teaching will be shaped by many conflicting forces. Shifting student demand, changing technologies, and a focus on organizational efficiency and measurable outcomes will continue to influence decisions. Proceeding as if all options are possible (and compatible) only deepens the cacophony and reduces effectiveness. Managing change in this transition means going beyond superficial forms of consultation to create new, more inclusive and open forms of collaboration. This is in line with the levelling influence of technology, and is a good fit with the dominant philosophies of education, which increasingly recognize the need to acknowledge and include the learner in all dimensions of the educational process. Student Opportunities Lots of new ones!